Metal drummer who played with Britny Fox and Doro Pesch. He released six albums with the latter band. He taught himself to play drums at the age of 12 and was heavily inspired by the stylings of Kiss' Peter Criss. The first album he released with a band was World War III's self-titled album in 1985. He has called Doro Pesch his family. 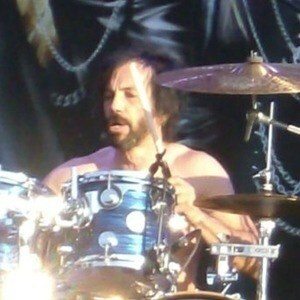 He and Dave Lombardo are both metal drummers.